By means of the H.E.S.S. 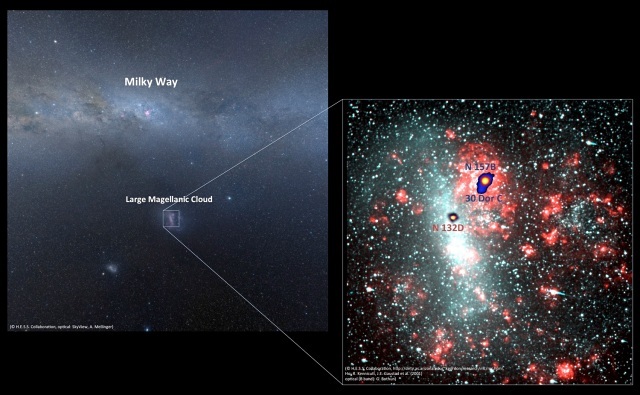 gammy ray telescopes researchers have detected specifically energy-rich gamma ray sources in the Great Magellanic Cloud. A researcher team, among them the astro-particle physicist Olaf Reimer from Innsbruck University, reports in the special journal Science on the discovery of the first such object in a galaxy different from our own.